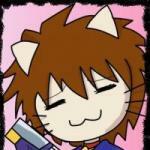 There are 18 posts in this thread, and it has been viewed 6911 times. There's also files attached. Personally I'm quite sure this will be some kind of "Mini Cab" or at least "Mini AES" running the games on emulation. Considering that nowadays there's even a Mini C64 it wouldn't surprise me if SNK did the same. Yes I'm sure this will be on the back of the success of the mini SNES. Hope it's a mini cab rather than a mini AES. I don't think its possible for any company to make a machines like the mini-SNES etc perfect because they will always be looking to make it at the lowest cost possible to make the most money per unit. Agree with you Murikov, hope they learned form the Neo Geo x debacle. 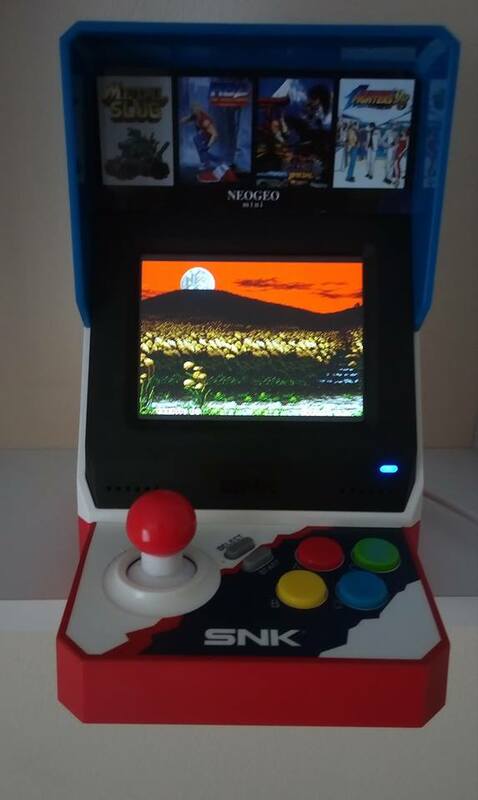 I want SNK to make Garou MOTW 2 on Neo Geo AES/MVS. I'm sure it could be profitable for them. They could pretty much charge what they wanted and they would sell out. I read in an interview they said they would never make another NEo Geo game because of how easy it is to pirate the carts. Well none of the NGDevteam games on their own cartridges (Last Hope 1 was a sacc) has ever been cracked. So nows the time SNK. Fan service! I want SNK to make Garou MOTW 2 on Neo Geo AES/MVS. Interestingly SNK always keeps saying in their interviews that a Garou 2 is never off the table, as it's one of their most beloved franchises. For the near future I can only imagine that SNK keeps releasing 3D games in the style of KoF XIV. I wonder what their next project is going to be after SNK Heroines. It looks luxurious for a mini-console, based on the image accompanying the teaser. To be blunt this is not what I was wishing for from SNK, hence I will continue saving up for an Apple watch. SNK needs to pull the trigger on their reveal to keep people interested (and let us decide if it’s something to start saving up for or not...). I’m 100% with ya regarding Garou 2!! If we can’t have a proper release on AES/MVS, I’d appreciate a sequel that’s faithful to its 2-D sprite-based roots along the lines of KOF13. A guy can dream, right? Needs to be taken with a grain of salt though, since the source is a bit dubious. On the other hand we've seen similar leaks about KoF XIV or other SNK products to be proven true. On that note I'm personally much more interested how this hardware can be modded with custom firmware and such. The rumored built-in game library looks spectacular. Price being $300-500 for the console alone? Added accessories such as controllers being $50 each? God forbid the power supply is an additional $30 purchase. Any wager on whether this will be made in China or Japan? 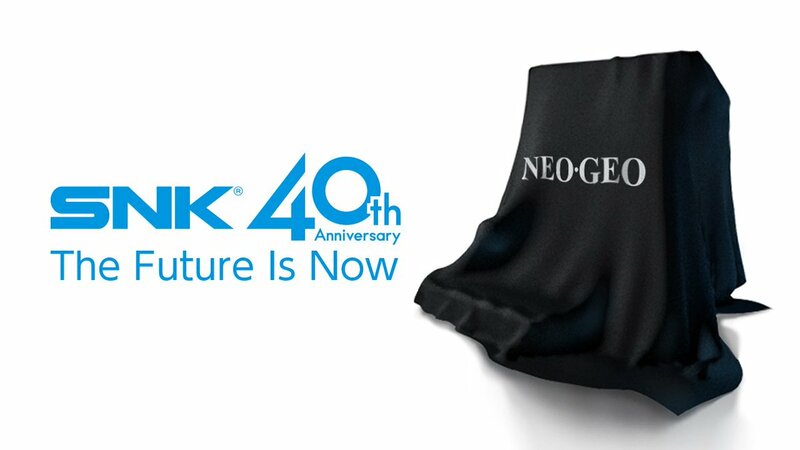 The NEOGEO mini, a video game console celebrating the 40th Anniversary of SNK’s brand is announced! 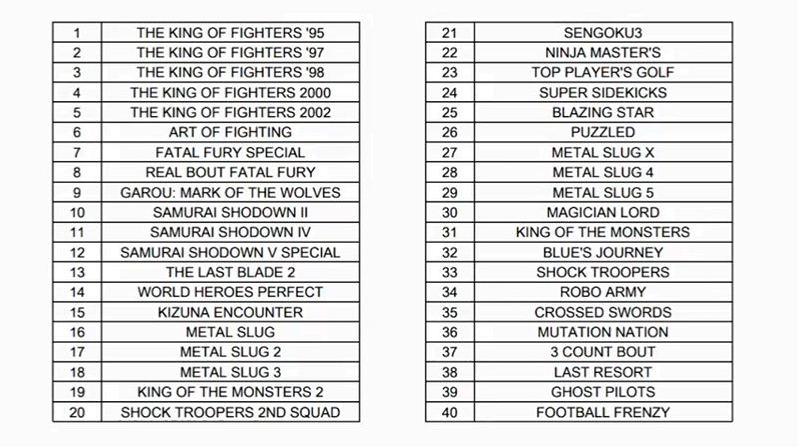 40 legendary NEOGEO titles will be included! 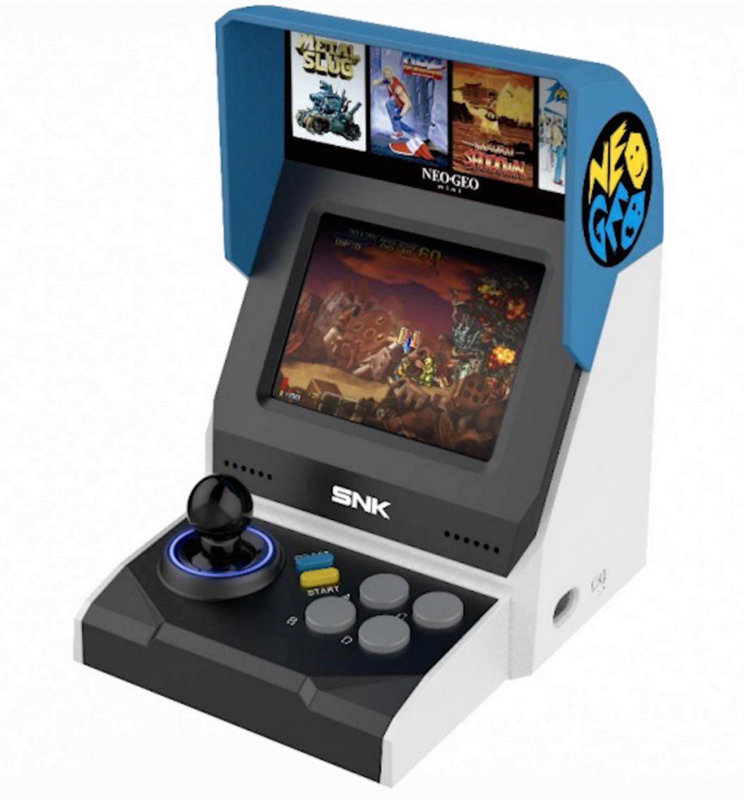 The NEOGEO mini is a video game console, which will include 40 nostalgic titles from the NEOGEO system, which made its debut in 1990. This console will feature a 3.5 inches display, meaning the games can be enjoyed with no need to connect to a TV or monitor! 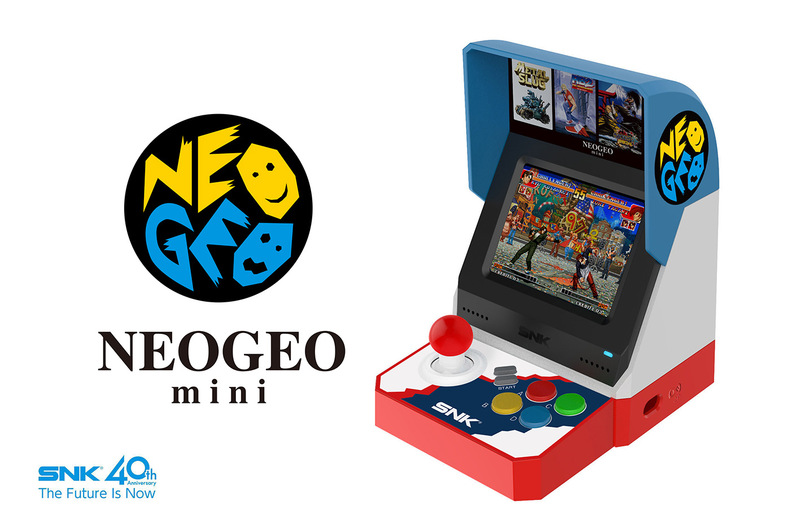 The size of the NEOGEO mini means it fits perfectly in the palm of one’s hand. 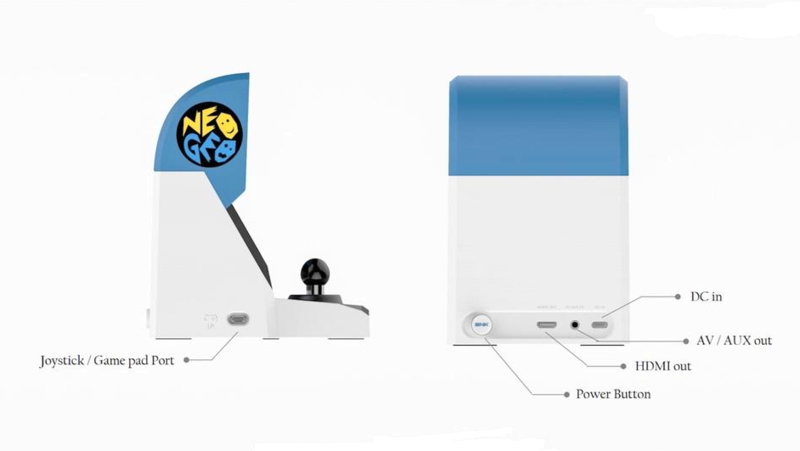 The NEOGEO mini will be available in two different designs, one for the Asian market and the other one for overseas markets (for North America, South America, Europe and other regions). 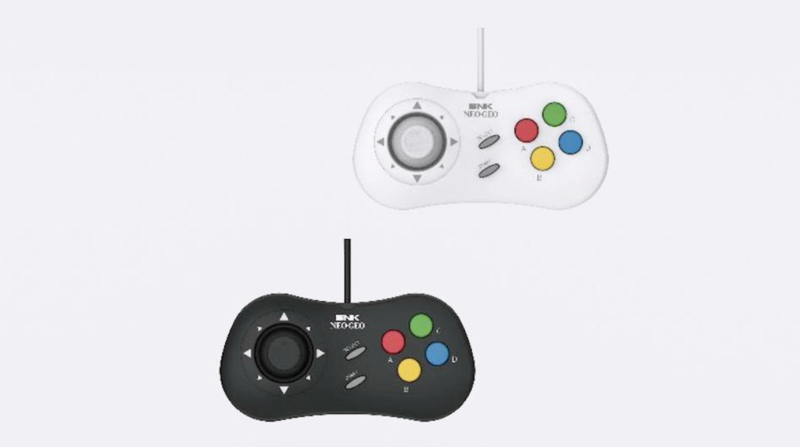 With its design in black, white, and red, the Japanese version of the NEOGEO mini will faithfully reproduce the original NEOGEO arcade cabinet that was introduced in Japan in 1990. The overseas version will be a simple and modern design in black, white and blue. 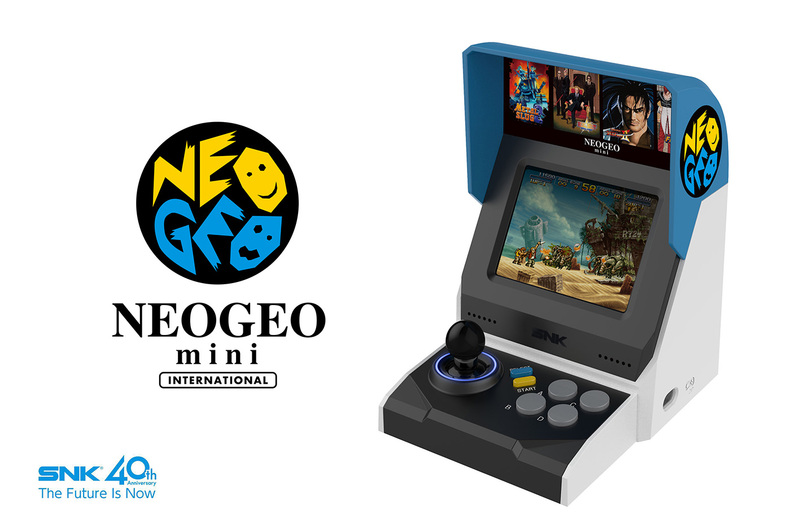 We hope you look forward to enjoying the NEOGEO mini along with its legendary and popular NEOGEO titles. For more details such as the release date and title lineup, please stay tuned for future announcements. So the leaks were legit after all. But nothing new on the price or game list(s) yet. I'm almost 100% positive this will be China-made (or another low-cost country) since it wouldn't do sense to do it somewhere else, from a cost perspective. I think the times of consoles being manufactured in Japan are definitely over since the end of the 90's. .. but are they seriously using proprietary controller ports in a time when USB just make so much more damn sense? Totally agree with you on this, having no USB port seems a no-brainer to me. The official statement leaves out what ports we're dealing on this thing exactly. God forbid the power supply is an additional $30 purchase. I think you are spot-on on this as well - again this seems pretty senseless to me. However, I wished the International version looked like the Red US MVS cabs instead of the AES looking design. Does this thing have a built in battery? The video referenced being able to use the USB port to plug in a battery? If an additional battery is needed to make this portable then that can also be added to the cost, along with the 2 pads (which would be essential given the standard small controller it comes packed with). Having said all that, this bad boy would look awesome on my desk at work! Judging from the video it looks like that. They just vaguely gave some remarks about a battery, but nothing else. Personally, I would rather wait for more details before buying this thingie. For me it seems that even for SNK many things are still hazy and uncertain. I m guessing that they would like to have released an AES mini, but are perhaps still locked into an agreement with Tommo preventing this from happening for the time being. As you said, looks can be deceiving, so am also waiting until I can read some reviews of this baby. Yeah... looks cool, but no way I would pay over $100 for something like this... especially since I own the original hardware. Techradar has reviewed it with a 4/5! MSRP: $130/£100. I purchased the Japanese version 2 weeks ago and I got to say I think its brilliant, the controls play really well and it feels great and looks cool, i was quite surprised as was skeptical before I got it as thought it looks cheap and too small but it actually very compact, sadly there is no in house battery but the cable it comes with is really long so you can move it about freely. Thanks for the info Lee. I'll probbly stick with my AES and the TV, but if you want a mini-system this sounds good! Good to see SNK has learnt from the Neo Geo X.